One of our favorite parts of planning the one-and-only I Do! 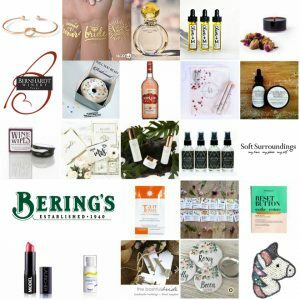 Wedding Soiree is curating awesome goodies for our fabulous Soiree gift bags. And the swag we gifted our attendees at this past week’s I Do! Soiree was no exception! Find out what’s in the bag, why we picked it and what we love about each selected brand and product. We really do take great care to choose Soiree gift bag goodies we think you’ll love. 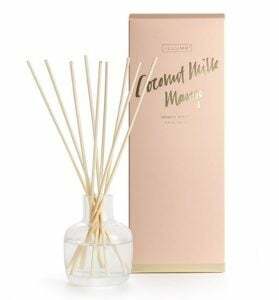 And we hope you’ll make these fine beauty, skincare, fragrance, lifestyle and accessory part of your pre-wedding prep routine, and gift-buying decisions for hostess gifts, bridesmaids gifts and favors, before and after your big day! 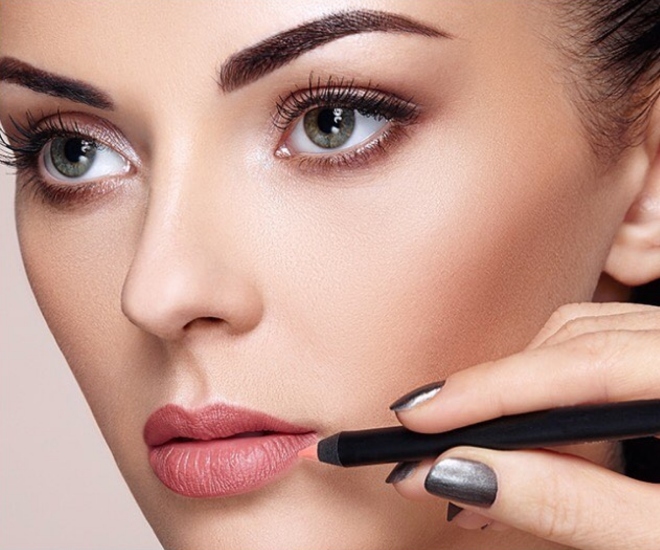 A longtime Weddings in Houston fave, Model Launcher creates cosmetics for models…and for brides, bridesmaids and makeup-lovers everywhere who want high-quality cosmetics that are made for spotlights, camera flashes and all-around flawlessness. Our Soiree bags featured Model Launcher highlighters and bronzers, but we also love this company’s foundations, blushes, eye shadows and high-wattage lipsticks. If there’s an accessory Charming Charlie doesn’t carry…well, we sure don’t know of it! 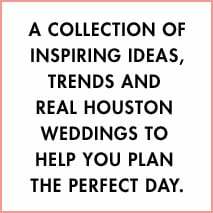 Seriously, this Houston-based, nationally beloved retailer has everything, from jewelry to handbags to hair accessories to cosmetics to desk signs, drinkware and decorative pillows!! 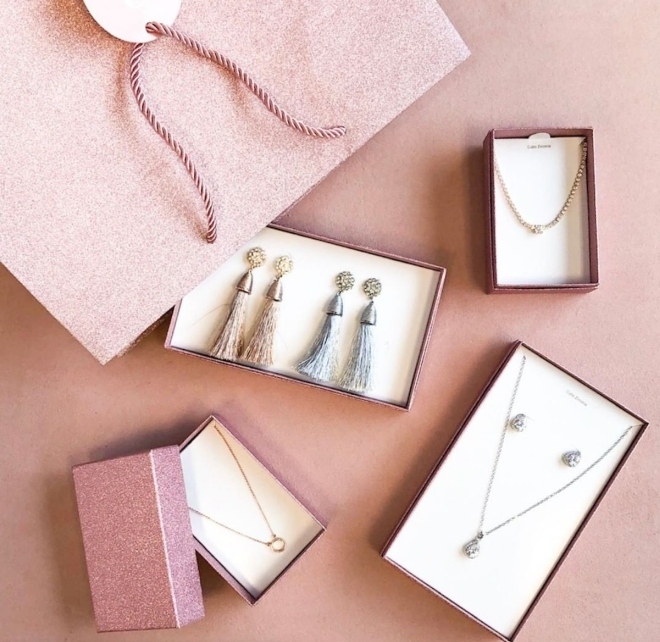 It’s also a great spot for bridesmaids’ gifts and accessories (matching drop earrings, pendants, cute floral kimonos, blingy personalized keychains, sparkly clutches and tons more for your can’t-live-without-’em maids!). Inspired by the oldest swimming hole in Austin, and still distilled in Texas’ capital city as it’s always been, Deep Eddy Vodka is always on the Weddings in Houston bar. 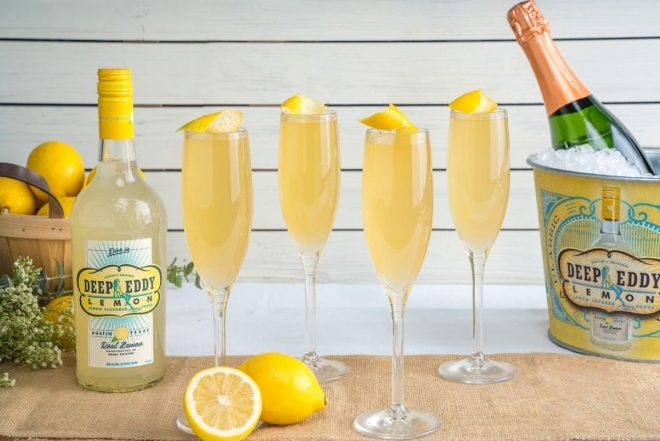 Whether we’re mixing one of Deep Eddy’s refreshing citrus-infused vodkas with a bit o’ bubbly, shaking up original Deep Eddy in a classic GNO martini, or creating a new bride-theme craft cocktail (in case you were wondering what we do in our free time! ), we love this true Texas spirit. Which is why we picked it for our Soiree gift bags! For the diva in all of us, there is MAC. 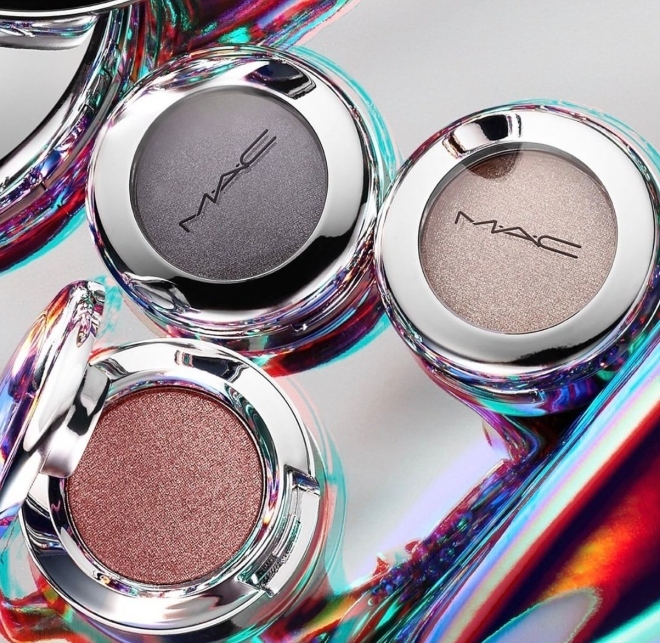 Super pigmented, ultra dramatic, packed with staying power, and revered by makeup artists across the globe, MAC Cosmetics are made for strutting your stuff, whether it’s down the catwalk…or down the aisle! Check out The Galleria’s MAC store for the latest new releases, and classic MAC favorites, and get assistance from trained MAC makeup pros as you shop. That’s what we do! Central California-based stationer Roxy Benton created our super-cute Soiree “Engaged” stickers, and she’ll create something awesome just for you! 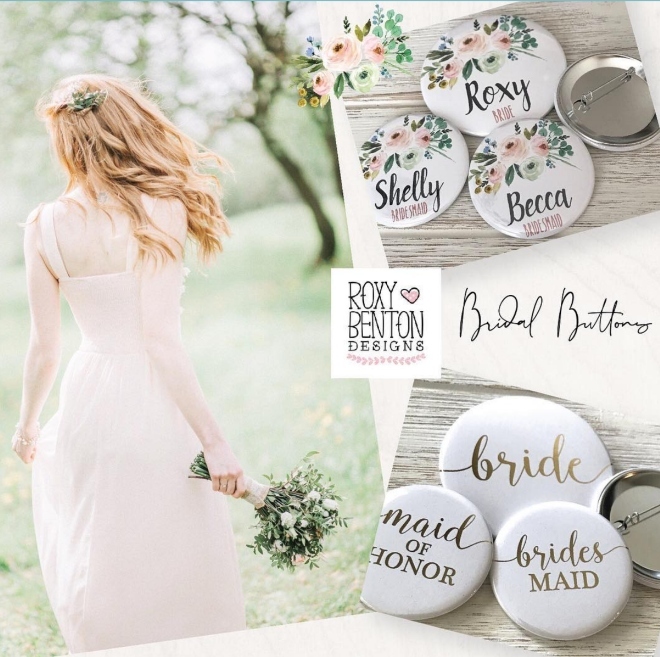 All you have to do is visit her wonderful Etsy shop, and browse oodles of customizable address labels, notepads, buttons and cards. Her designs are both whimsical and modern, and include lots of sweet options for pet lovers, flower aficionados and magical unicorns. 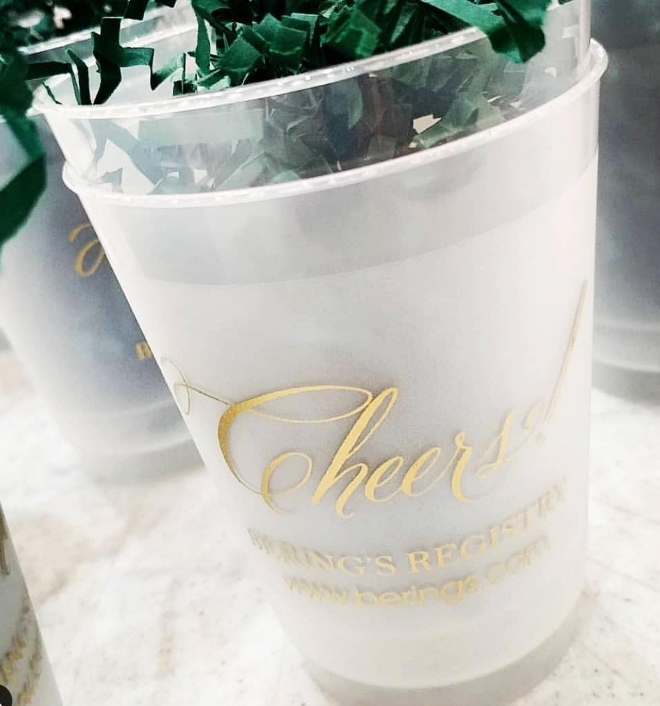 Cheers to Bering’s for gifting our Soiree guests with celebratory “Cheers” cups–perfect for revelry of any sort! But where Bering’s really raises the bar is with its amazing wedding gift registry. When you register for your wedding gifts with Bering’s, you get to take pride in choosing a hometown retail icon, and take comfort in knowing you’ll be treated with impeccable service and excellent care throughout your gift registry process. 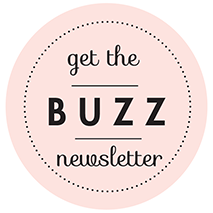 Plus the selection–from housewares, to kitchen gadgets, to outdoor entertaining essentials, to luggage and more–is amazing!! There’s nothing more romantic than candlelight. 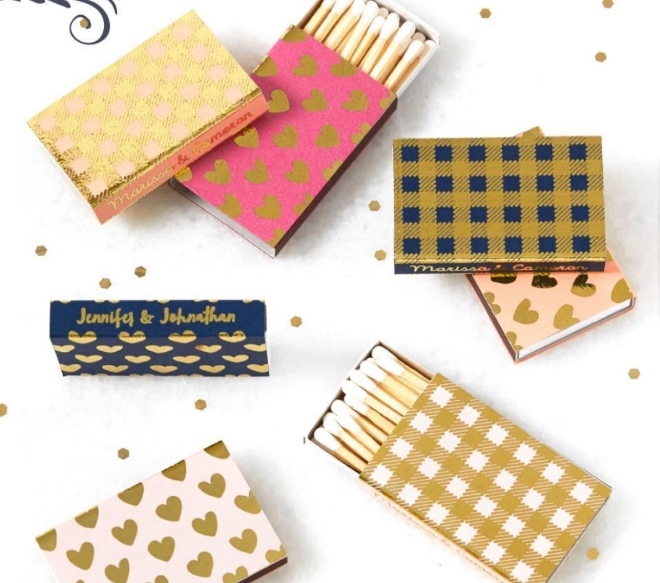 And no cuter way to light those mood-setting candles than with matches from Picture Perfect Papier. 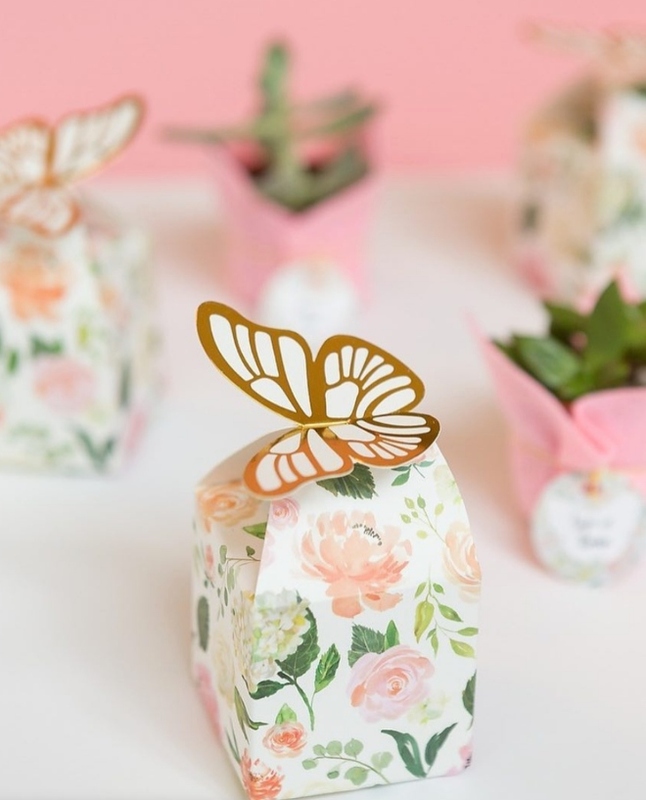 Hand these sweet little match boxes out to your bridesmaids, and fill baskets or bowls with them in your reception venue ladies’ room, bridal prep suite and groom’s lounge. And keep a few handy at home, for getting your glow on, on date night, or any night of the year! Our Soiree gift bags include Kate Aspen’s “lovebirds” salt and pepper shakers, because, well…love. But there are about a gazillion Kate Aspen wedding favors, bridal shower favors and party favors to choose from, and all of them are really, really cute! The key is in Kate Aspen’s packaging, which is always adorable, and always easy to assemble. You’re welcome, bridesmaids!! 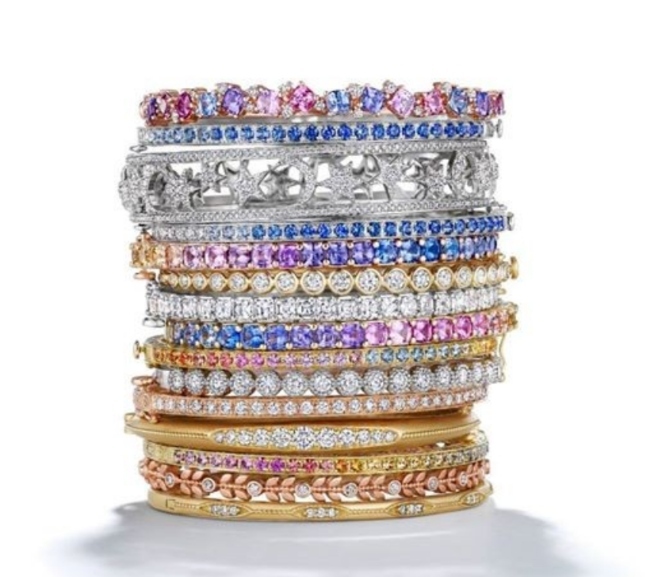 Celebrating its 186th anniversary this year, Bailey Banks & Biddle is a bona-fide jewelry institution. Visit either one of this iconic jeweler’s two Houston locations, for an incredible selection of GIA-certified diamonds, engagement ring settings and bridal jewelry. 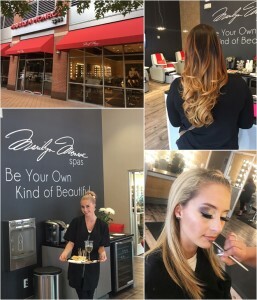 The store settings are both luxurious and comfortable, and the service and craftsmanship you’ll find at Bailey Banks & Biddle both fantastic. Be sure to ask about their anniversary specials…they’re celebrating their own milestone, but its you who gets the gifts! 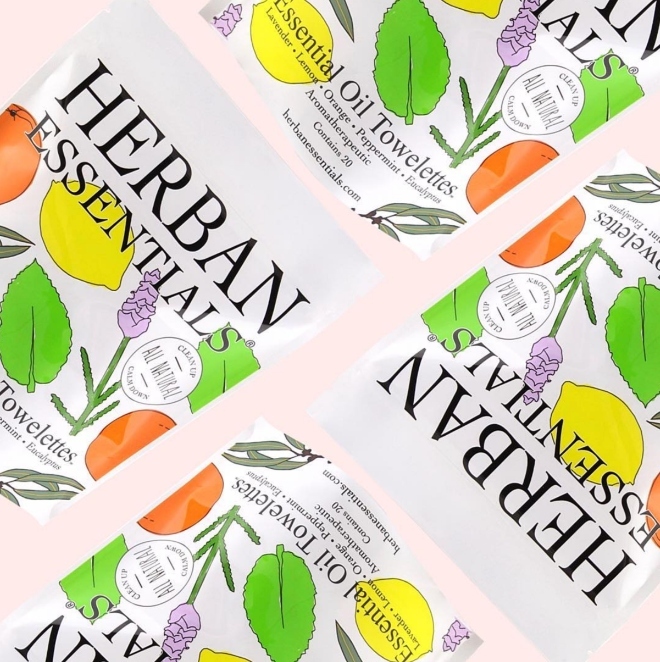 We wouldn’t dream of leaving the house without tossing a packet of Herban Essentials’ essential-oil towelettes in our handbag, for a quick pick-me-up, cool-down or chill-out anywhere, anytime. These luxe little towelettes are infused with 100% pure, therapeutic-grade, steam-distilled or cold-pressed essential oils and come in a variety of fresh fragrances, from soothing lemon to invigorating peppermint to calming lavender. 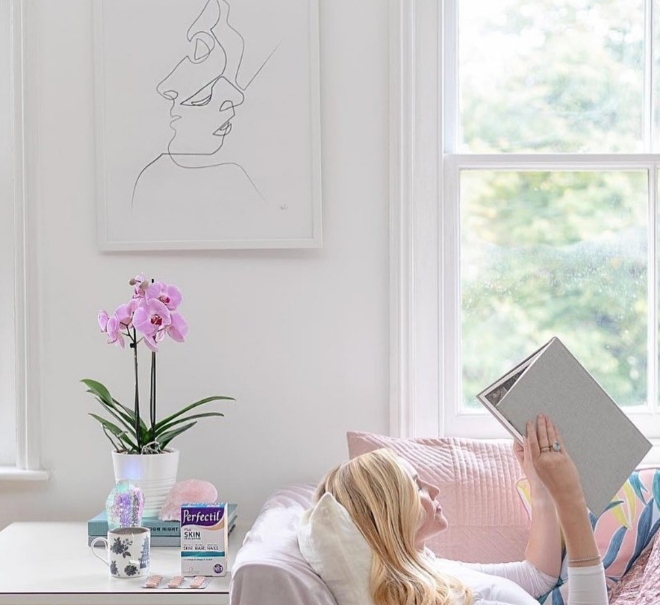 Herban Essentials’ towelette packages are a must for busy wedding-planning brides on the go, dedicated bridesmaids helping out and wedding-day bridal emergency kits! Based in Austin, and beloved by haircare aficionados across the country, Verb Products proves that luxury haircare products don’t need to be insanely expensive to be incredibly effective. 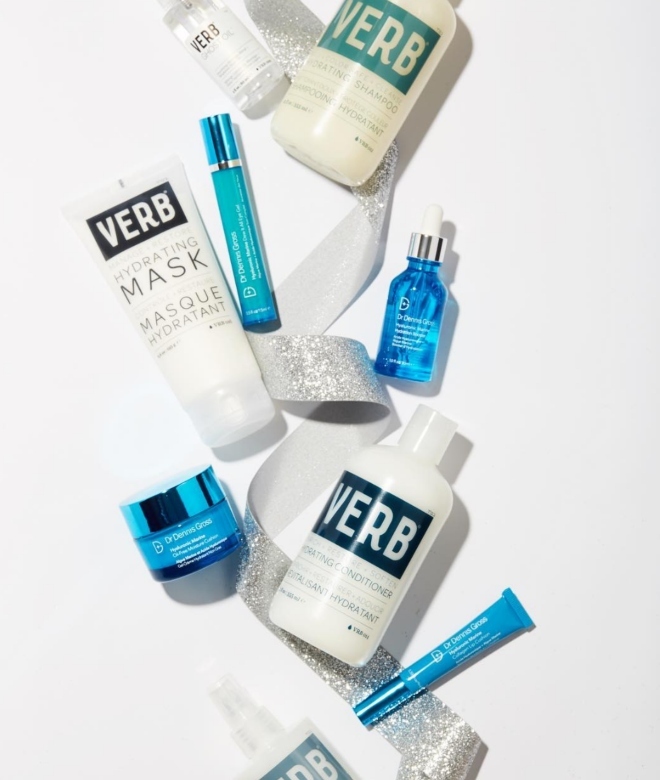 We loved sharing Verb’s super-popular Hydrating Mask (a weightless conditioning treatment, perfect for all hair types) and Sea Texture Cream (for true beachy waves, anywhere, anytime) with y’all in our gift bags. And we’re also crazy about Verb Products’ “Ghost” line, including the awesome, utterly weightless, color-safe Ghost Shampoo, Ghost Conditioner and frizz-banishing Ghost Oil. This is weather-resistant Texas haircare at its best, baby! We know that real bridal beauty and well being starts on the inside. 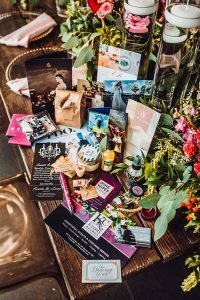 Which is why we tapped top UK beauty supplement Perfectil for our 2019 Soiree gift bags! Perfectil’s supplements line is geared toward nourishing skin, hair and nails, directly through the bloodstream, with micronutrients including vitamins B2 and B3, along with biotin, selenium and zinc. If you’re balancing a busy work or school schedule with wedding planning, a Perfectil regimen is a great way to make sure you’re getting everything you need to maintain sleek, healthy hair, strong nails and great skin, as you make your way toward I do! 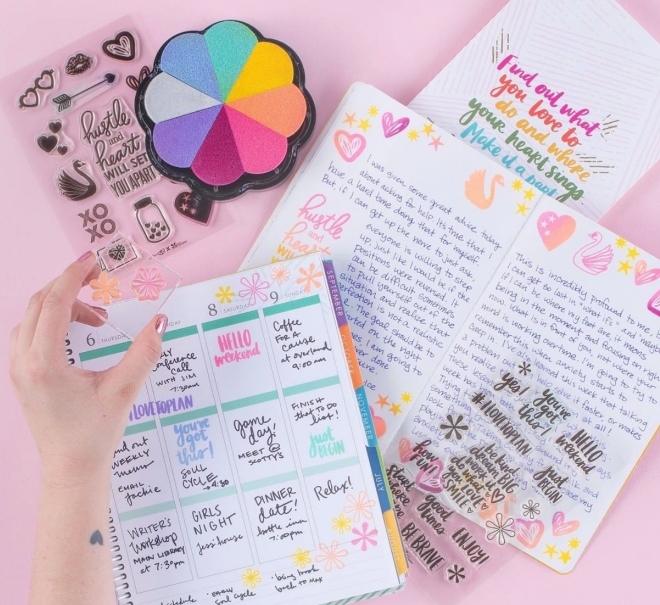 Along with the adorable wedding stickers and stationery goodies we included in our Soiree gift bags, Erin Condren has just about everything the busily planning bride-to-be needs to stay organized, with style. Planners, card sets, notepads, stamps, address and gift labels, pens…even chic neoprene wine totes (buttery chardonnay + an Erin Condren wine tote = the perfect hostess gift! ): This beloved stationery brand tops our list for paper goods and goodies that are as cute as they are practical. 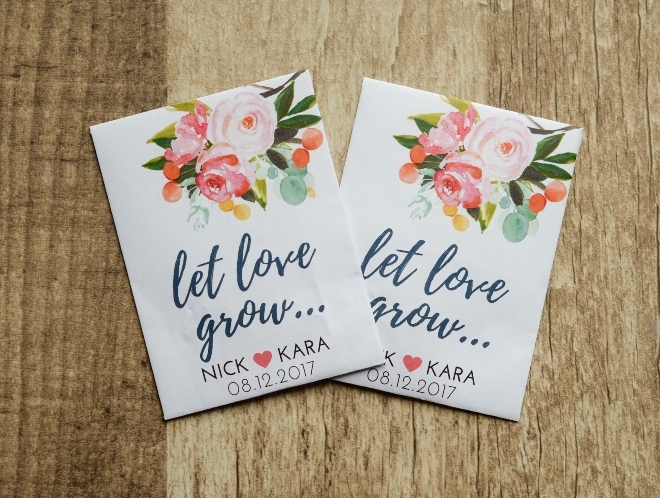 Personalized “Let Love Grow” seed packets from Etsy seller Plain Jane make such awesome wedding favors. What could be better than real wildflower seeds that your guests can take home, plant and nurture into living, blooming reminders of your very special day? Plus, the watercolor packaging is sooo pretty! Take note: Plain Jane also does lovely honey-stick favors, bath-salt favors and tags for personalizing those sendoff sparklers you’ll be handing out to your guests. Bonus! 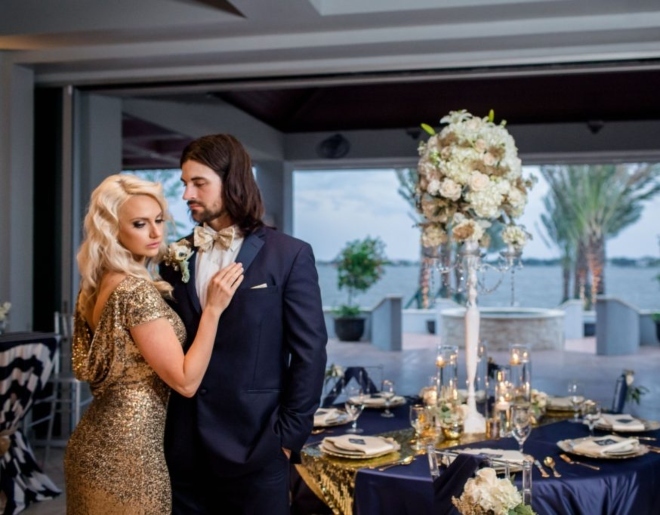 You’ll find more than 80 styles of tuxedo, and hundreds of accessories, at Alvin Tuxedos, and trust us: It’s worth the drive! This well-appointed, service-focused menswear boutique carries top designers including Michael Kors, David Tutera, Tony Bowls, Ralph Lauren, Calvin Klein, Stephen Geoffrey and more. Whether you plan to purchase or rent your groomswear and groomsmen’s attire, you’ll find everything you need at Alvin Tuxedos. Not sure what style you want for your big day? Start your search with the Alvin Tuxedos catalogue right there in your Soiree gift bag! 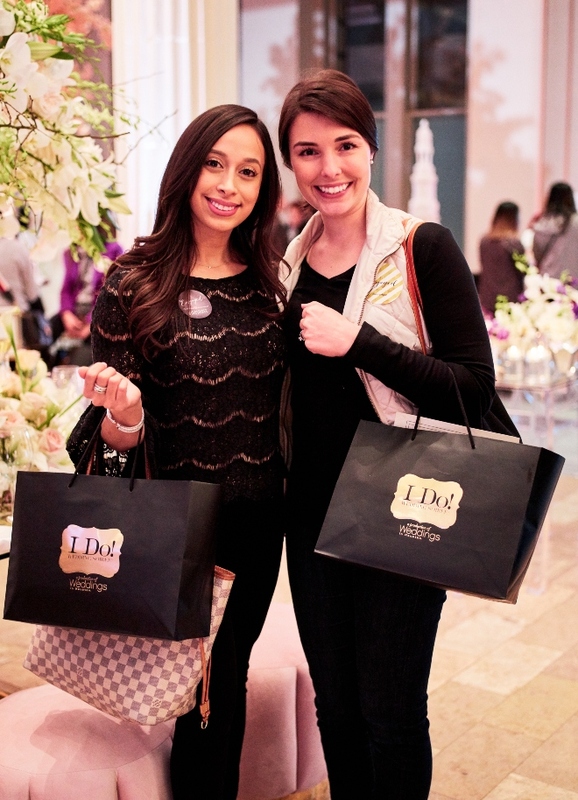 BIG thanks to all of our Soiree gift bag brands for their partnership, and for helping us help you to plan and prep for your Houston wedding! Pastel Spring Wedding By Kelli Durham PhotographyBailey Banks & Biddle 186th Anniversary Sale!